The station detail view contains all details about each stations. 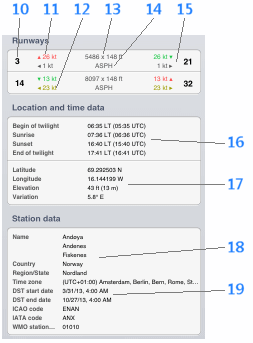 This includes weather data as well as some calulations and location and time data. 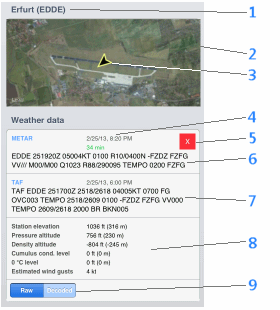 Cumulus condensation level, 0 Â°C level and estimated wind gusts are calculated based on rules of thumb known in aviation and are estimates.